Catriona Towriss is a researcher, activist and artist, currently based in Freetown, Sierra Leone. 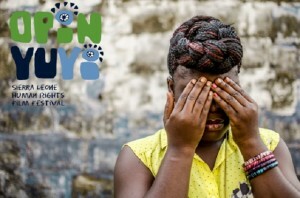 In February and March 2014, the third edition of Sierra Leone’s key human rights film festival, Opin Yu Yi (‘Open Your Eyes’) took place in Freetown, the country’s capital city. Catriona Towriss reviews.